New applications of particle analysis in general industry are constantly being developed, from the characterization of printer toner and superabrasives, ion resins to fruit juice, and microencapsulation processes. If it’s a liquid, or can be suspended in a liquid, analyze it on the FlowCam flow imaging microscope. 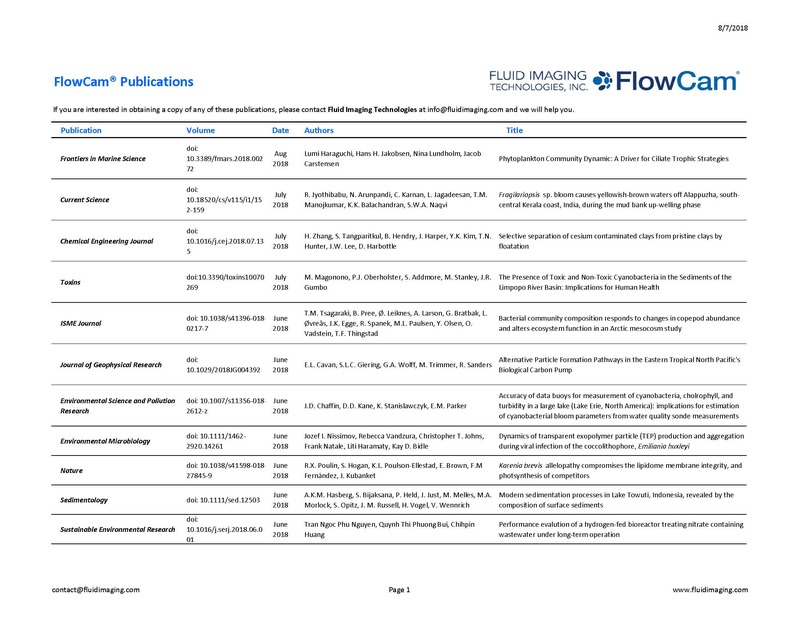 Read a list of the novel samples submitted in 2018 for analysis in the Fluid Imaging Technologies lab. How will you know if the FlowCam will work for you? Send us a sample. We will analyze it on the FlowCam, walk you through the results on our image analysis software, VisualSpreadsheet®, and give you a trial license to the software so you can re-process your data as you wish. 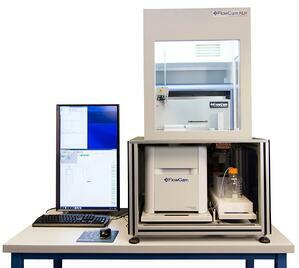 The FlowCam captures high-resolution, digital images of particles suspended in a liquid medium. Over 40 physical parameters are measured from each image while the data is processed with VisualSpreadsheet. Use real digital images to verify the size, shape, and identity of your particles. Visit General Industry Resources page for application notes, case studies and more. “We weren't sure if the FlowCam was going to work for us. We manufacture a dense colloid. But the lab staff at Fluid Imaging Technologies was able to develop a method on the FlowCam that worked. We scheduled an analysis and received results promptly after they received [the sample]. We were involved during the method development process and were were walked through the results via an online web conference. We were pleased with the performance and the professionality of the team. A nice way to test the product before purchasing." For characterization and quantification of particles 300 nm to 10+ µm. Winner of the 2018 Pittcon Excellence Award. Wonder if the FlowCam Nano will work for you? For particles 1 µm to 600 µm. Fluorescence capabilities available. Compatible with FlowCam Automated Liquid Handler. For particles 300 µm to 5 mm. Uses an external peristaltic pump rather than an internal microsyringe pump. Wonder if the FlowCam ALH will work for you? Inquire about a demo. Our proprietary software VisualSpreadsheet (ViSP) performs image recognition, particle measurements, statistical analyses, data collection, and enables data manipulation. 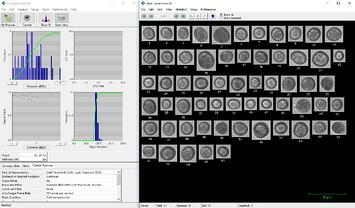 With ViSP, which is included with every FlowCam, you can create image libraries, digital filters, and use machine learning for auto-classification of different particle types. View data in ViSP or export to Excel in CSV format. Visit the ViSP page for more information. 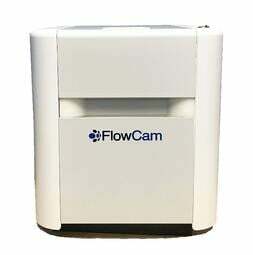 Will the FlowCam work for you?